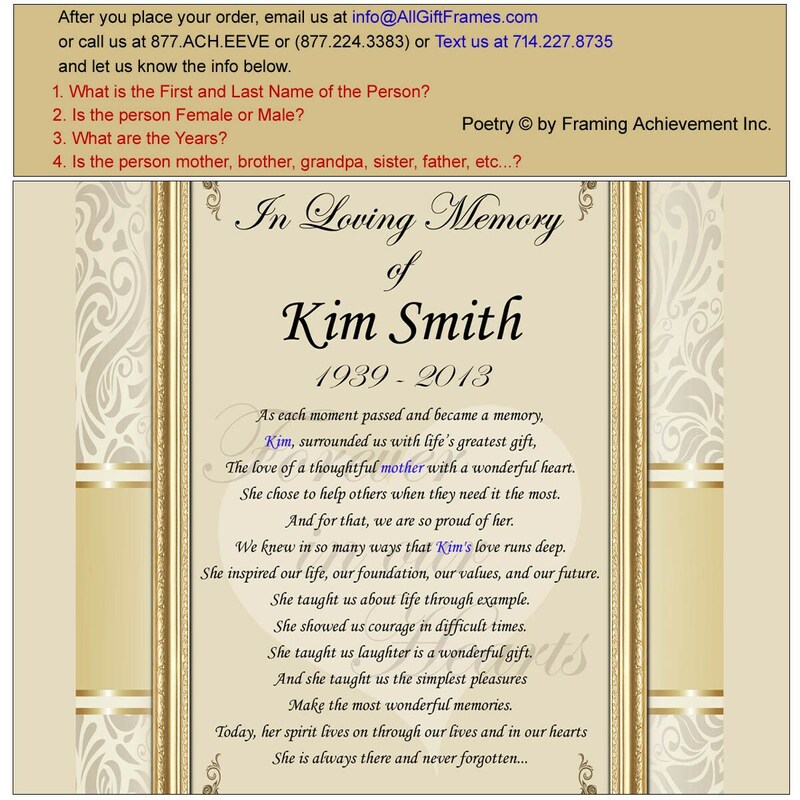 Commemorate your loved one with our personalized sympathy poetry clock frame as a bereavement gift. 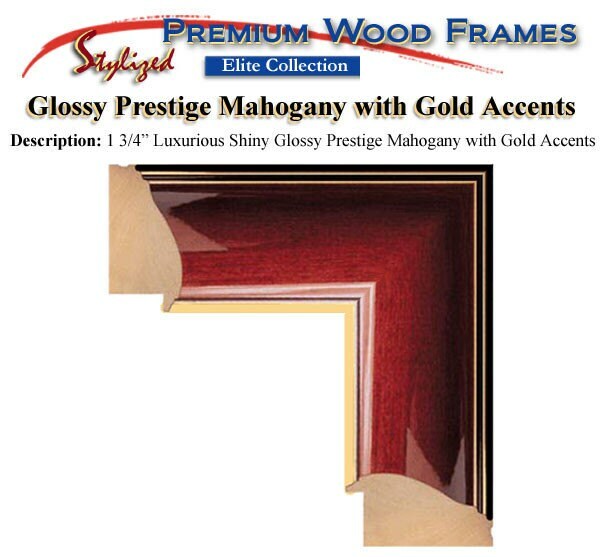 Our premium glossy prestige mahogany with gold accents wood moulding frames are smooth and shimmering with a brilliant shine to achieve a time-endured elegance. This personalized sentimental thoughtful In Memory of Gift poem imprinted on the mat compliments the traditions use of superior contemporary designs and is the perfect memorial gift to show how you can commemorate your loved one, friend, or family member. This personalized caring poetry clock keepsake present beautifully highlights the meaningful poetry message that have sentimental value. By fusing a poem into a frame with a touch of personalization and combining functionality with a trendy clock, the end result is a really nice distinctive and beautiful gift for people who are grieving. Inspired by the inspirational words of our innovative poets, these personalized in memory of gift poetry presents are our creation. 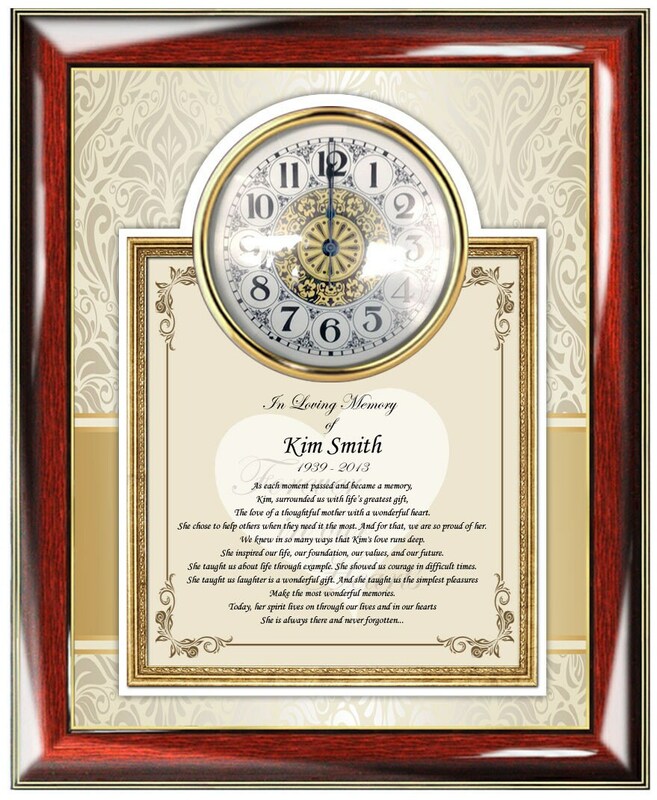 Our loving funeral poem engraved desk clocks, plaques and picture frames are customized with your name and embedded in the composition of the poetry memorial gifts. Let our personalized gifts of poetry products imagination wander and explore the possibilities that you can create with a custom sentimental meaningful message in our elegant picture frames and wall or desk clock presents for memorial grieving gift. 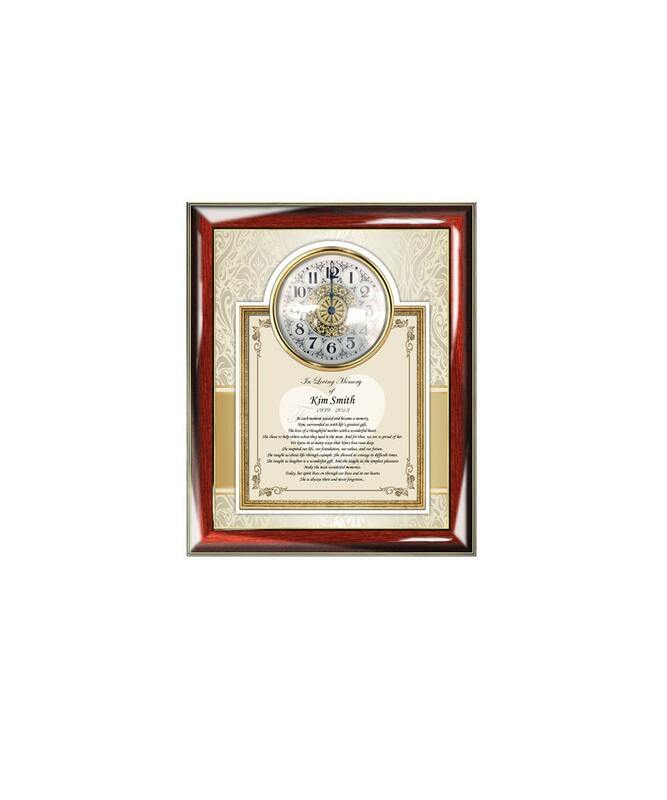 Rating high on style and elegance, Framing Achievement's personalized academic success gifts are the first choice in premium poetry presents for Anniversary, Funerals, Weddings, Retirement, Graduation and many more occasions.